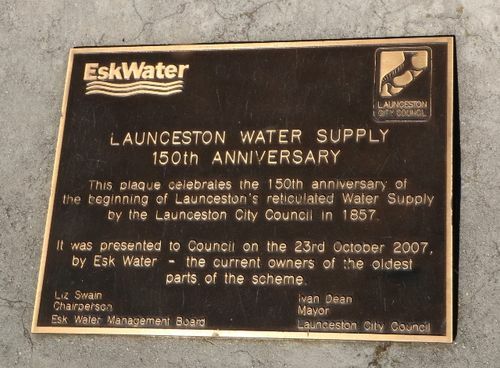 A plaque commemorates the 150th anniversary of the commencement of the Launceston water supply. This plaque celebrates the 150th Anniversary of the beginning of Launceston`s reticulated water supply by the Launceston City Council in 1857. It was presented to Council on the 23rd October 2007, by Esk Water - the current owners of the oldest parts of the scheme.